Dr. C Panneer Selvan is a leading psychiatric practitioner in Tirunelveli, currently working as Director and Consultant Psychiatrist at Sneka Mind Care Centre. He studied at the prestigious National Institute of Mental Health and Neuro Sciences (NIMHANS) in Bangalore, obtaining the postgraduate MD (Psychiatry) degree in 1999. 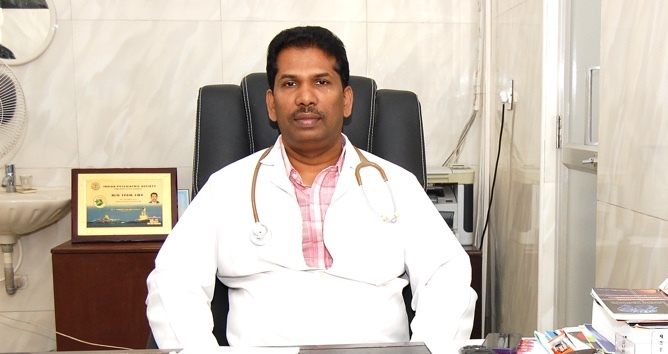 Earlier, subsequent to graduating from Tirunelveli Medical College in 1994, Dr. Panneer Selvan completed a Diploma in Psychiatric Medicine (DPM) from Thanjavur Medical College, and began professional practice in 1995. Dr. Panneer Selvan worked as a Senior Resident in the Department of Psychiatry at NIMHANS from 2000 to 2001. His responsibilities included clinical work as well as teaching postgraduate trainees in psychiatry, clinical psychology, psychiatric social work and psychiatric nursing. While he has gained experience in all aspects of psychiatry over the years, Dr. Panneer Selvan’s main areas of interest are ECT (electroconvulsive therapy), suicide prevention and community psychiatry. 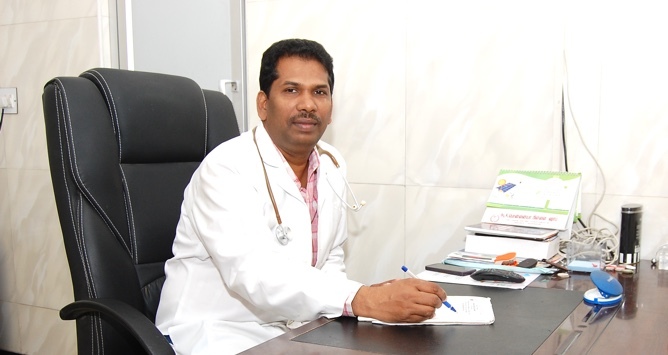 Dr. Panneer Selvan has won awards for his clinical excellence and social activities. He has written several books in Tamil and English, published research papers in medical journals and made presentations at medical conferences. He has authored several articles regarding mental health issues in various local journals and newspapers, and participated in awareness programmes on All India Radio, FM radio stations, and television channels. Dr. Panneer Selvan has also delivered many lectures for general practitioners (GPs) on topics such as management of depression and anxiety, and management of minor mental illnesses. Comparison of therapeutic efficacy of ECT and Imipramine: A randomised controlled trial. C Panneer Selvan, Prasanth M Mayur, B N Gangadhar, N Janakiramaiah, DK Subbakrishna, N Murali. Indian Journal of Psychiatry. 1999; 41(3), 228-235. Psychiatric aspects of Obstetrics and Gynaecology. C Panneer Selvan, K Shanthi. Tamil Nadu Annual Conference Journal. 2001; 34-39. Child psychiatry in private practice. Tamil Nadu Annual Conference Journal. 2007; 45-53. Electroconvulsive therapy during pregnancy. Tamil Nadu Annual Conference Journal. 2009; 9-17. Age at onset and schizophrenia: Reversed gender effect. C Panneer Selvan, BN Ganghadar, DK Subbhakrishna, N Janakiramaiah. Acta Psychiatrica (Scandinavian Journal). April 2002; 105 (4) 317-319. Paper Presentation: Attempted suicide in Thanjavur. Panneer Selvan C, Chandrasekaran A, Ganesh K Venkatesan J. IPS, Tamil Nadu Annual Conference. 1995. Book: Mana Nalam Therinthu kolvoam! Purinthu kolvoam! [Kannadasan Publications]. MBBS: Tirunelveli Medical College, Tirunelveli. 1994. DPM: Diploma in Psychiatric Medicine. Thanjavur Medical College, Thanjavur. 1994-95. MD (Psychiatry): National Institute of Mental Health and Neuro Sciences (NIMHANS), Bangalore. 1999. Conducted: Three workshops on Management of Depression and Anxiety. For General Practitioners (GPs). Lectures Delivered: Management of Minor Mental Illness. For GPs at Tirunelveli, Tenkasi, Sankarankovil and Tiruchendur. Member, Lions Club International, Tirunelveli city. State Member, Human Rights Organisation. "Best Humanitarian Award for Medicine". By Human Rights Organisation and Team Trust. Tirunelveli. "Best Doctor Award for the Year 2010". By Lions Club International. © 2018, Dr. Panneer Selvan C.